Andrew founded CentreCourt in 2010 and is responsible for the oversight and management of all business areas with a focus on corporate strategy, capital partners and acquisitions. Andrew has over 30 years of experience in the real estate development industry and has been involved in many of the GTA’s most notable real estate projects across residential, office, industrial and mixed-use asset classes. Andrew has played an integral role in the acquisition and execution of every project since CentreCourt’s inception. Prior to forming CentreCourt, Andrew was Chief Operating Officer of a major real estate development firm in the Greater Toronto Area where he worked for over 20 years. 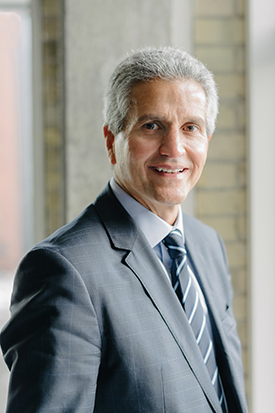 Andrew holds an LLB from Osgoode Hall Law School of York University and prior to 1989, he articled and practiced law at Goodmans, LLP, a major Canadian law firm. Andrew is active in a number of community organizations and initiatives including board participation at Princess Margaret Hospital Foundation and Mount Sinai Hospital and is an active Committee member at a number of charitable organizations including Ronald McDonald House and Sherman Campus JCC. Andrew is also Co-Founder and Board Member of Hold’em for Life Charity Challenge, an organization that has raised in excess of $30 million for cancer research and other worthwhile charitable initiatives. In recognition of his contributions to the community, Andrew was the recipient of the prestigious Community Service Award at the 14th Annual NAIOP Real Estate Excellence (REX) Awards. Alexander is a responsible for construction project management at 411 Church Street Condos. 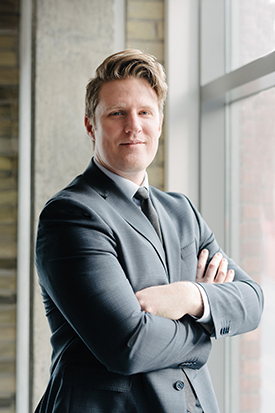 Alexander previously worked at Minto Communities for five years overseeing multiple projects from development through to construction, including Minto Spring, 30Roe and Minto Westside. 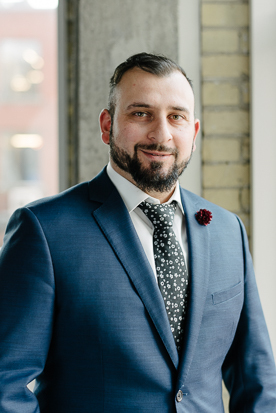 Alexander graduated from the Architectural Technologist program at George Brown College, and obtained a Project Management Certificate from Ryerson University. Alexander has also earned his Project Management Professional (PMP) designation and Certified Engineering Technologist (C.E.T.) credentials. Arash is a responsible for construction project management at Zen King West Condos. 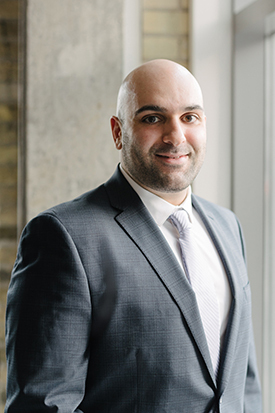 Prior to joining CentreCourt, Arash was at Tucker HiRise where he held various roles and including most recently as a Tender and Cost Analyst where he gain in depth knowledge on construction project budgeting and scheduling. 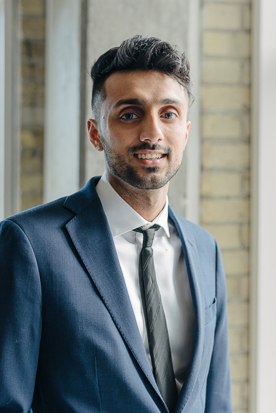 Arash holds a Bachelor of Architecture from Ryerson University. Bader is involved with sourcing and underwriting new acquisitions and pre-construction sales. 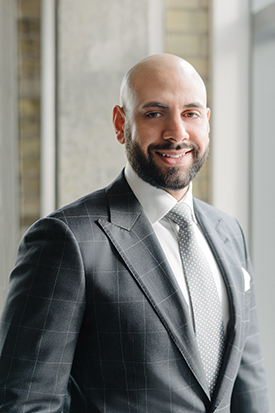 Prior to joining CentreCourt, Bader worked as an Investment Associate for Tricon Capital Group, a real estate private equity firm, and prior to that he worked as an Analyst in investment banking at CIBC Capital Markets. Bader holds an Honors Business Administration (HBA) degree from the Richard Ivey School of Business at The University of Western Ontario where he graduated with Distinction. Bonnie is responsible for financial reporting for the various development projects including Grid Condos and Transit City. Prior to joining CentreCourt, Bonnie was a Project Accountant at Camrost-Felcorp and a Staff Accountant at BDO where she developed extensive knowledge in accounting principles and reporting. Bonnie is a Chartered Professional Accountant and holds a Bachelor of Accounting from Brock University. Catherine is responsible for all corporate accounting. 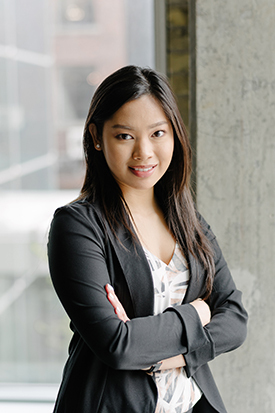 Prior to joining CentreCourt, Catherine worked at MNP LLP as a Senior Staff Accountant in Audit and Assurance. Working in the private group of the Peel Region branch, her clients consisted of credit unions, real estate companies, consulting companies, professional limited partnerships, and not-for-profit entities. 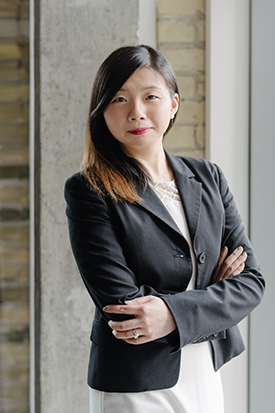 During her time at MNP LLP, she has also worked closely with the tax group gaining experience in corporate and personal income taxes. Catherine is a Chartered Professional Accountant and holds a Master of Accounting and a Bachelor of Accounting and Financial Management from the University of Waterloo. Daniel is involved in all aspects of development activities across several CentreCourt projects. 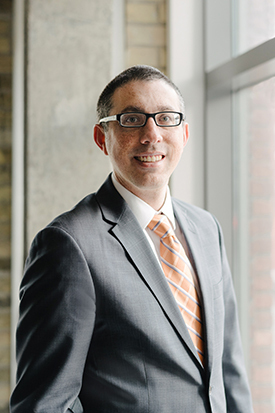 Daniel actively manages development applications, design development, municipal approvals and working drawing coordination on 319 Jarvis, Bathurst-Eglinton, Yonge-Wellesley and 39 East Liberty. 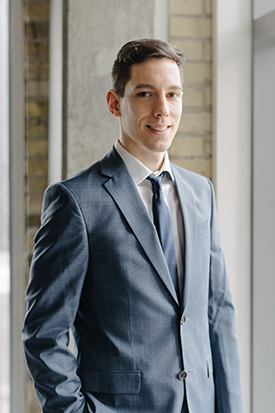 Prior to joining CentreCourt, Daniel worked as a Project Manager at WSP Canada specializing in Environmental and Geotechnical engineering services. Daniel has five years of engineering consulting experience and has worked on a wide variety of environmental projects. Daniel holds a Bachelor of Applied Science in Engineering from Queen’s University and is a Registered Professional Engineer in Ontario. Danny is responsible for internal operations including oversight of physical facilities, information technology, human resources, corporate policies and cost controls. Prior to his current role, Danny was an Accounting Analyst and subsequently a Controller at CentreCourt. 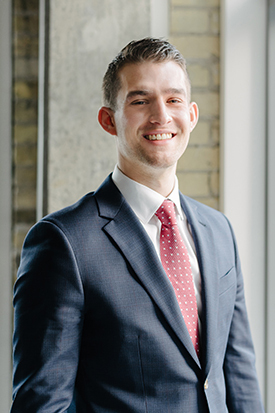 Prior to joining CentreCourt, Danny worked for Fairmont Hotels as a Banquets Accountant where he developed extensive knowledge in accounting principles, analysis and reporting. Danny holds a Master of Business Administration degree from Queen’s University and a HBA from the University of Toronto. Evan is responsible for the coordination and administration of all aspects of the construction project, providing assistance to the Project Manager at 411 Church Condos. 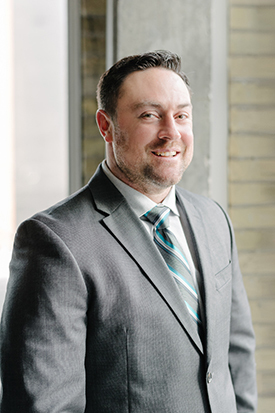 Prior to joining CentreCourt, Evan worked at Skygrid Construction as a Field Engineer and at Priestly Demolition as a Project Estimator / Coordinator. Evan holds an Advanced Diploma in Construction Engineering and Technology from George Brown College. Gavin is responsible for ensuring great project outcomes across a project’s lifecycle through the management of sales, development, construction and customer care. As a project’s business lead, Gavin is responsible for project strategy, and for ensuring the development, construction, finance and customer care teams execute in an integrated and timely fashion. Gavin is actively playing a business lead role on ZEN Condos and Prime Condos. 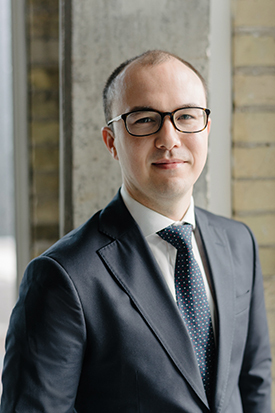 Prior to joining CentreCourt Gavin worked in Toronto in private equity and investment banking at a major Canadian bank, where he was involved in underwriting, financing, and advising public and private real estate vehicles. In this capacity Gavin was heavily involved in leading the IPOs of two major REITs, several spin-out transactions/acquisitions/mergers, and in providing financing alternatives to a range of public and private entities. Gavin holds a dual JD/MBA from the University of Toronto and a Bachelors of Arts from Duke University. 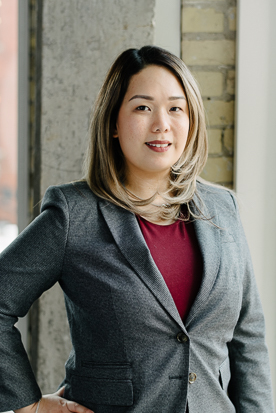 Hazel is responsible for administering purchase agreements, coordinating warranty deficiencies and providing excellent customer service at Grid Condos. 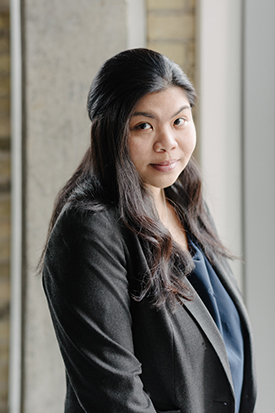 Prior to joining CentreCourt, Hazel worked at CoStar as a Research Associate where she analyzed market trends in the Canadian Real Estate market and maintained large databases of critical market information. Hazel holds a Bachelor of Commerce from the Ryerson University where she majored in Marketing and Real Estate Management. Helen is involved in supporting the team in various capacities including sales administration and accounting. 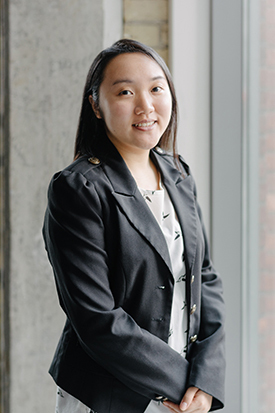 Helen is a recent graduate of York University’s Schulich School of Business and holds a Bachelors of Business Administration degree. Ian is involved in all aspects of development activities across several CentreCourt projects. Ian actively manages development applications, design development, municipal approvals and working drawing coordination on Grid Condos, 411 Church Street Condos, Transit City Condos and ZEN King West Condos. 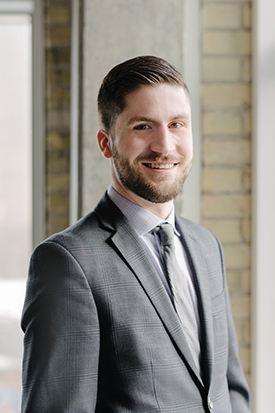 Prior to joining CentreCourt, Ian worked as a Sustainability Consultant at MCW Consultants specializing in the design of energy efficient buildings. Ian holds a Bachelor of Mechanical Engineering from the University of Toronto and is a Registered Professional Engineer. Jonathan is responsible for the oversight and management of all finance related activities. Jonathan has over 10 years of experience and has been involved in underwriting and securing financing for more than 2 billion dollars in development value. Prior to working at CentreCourt, Jonathan worked at Aon Consulting where he advised pension plans, endowments, foundations and trusts on their investment strategies and governance practices. 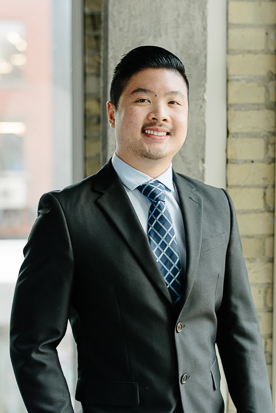 Jonathan completed his real estate focused MBA at the Schulich School of Business and is also a CFA Charterholder. Jonathan is a supporter of several initiatives from the Leukemia and Lymphoma Society and specifically, a participant in their Team-in-Training Program, which involves fundraising for cancer research. Ken is responsible for overseeing site construction activity at 411 Church Condos. Prior to joining CentreCourt, Ken has more than 18 years in construction including most recently at Brookfield Multiplex as a Finishing Superintendent. 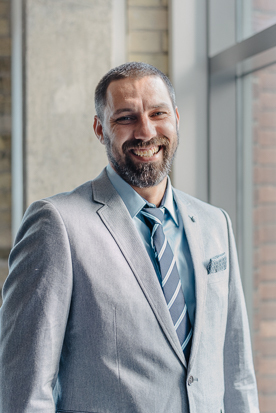 Ken holds a Diploma in Construction Engineering Technology Management from Fanshawe College and is Gold Seal Certified from the Canadian Construction Association. Laura is responsible for providing administrative support for all areas of CentreCourt’s business. Prior to joining CentreCourt, Laura has held various administrative roles and brings more than 14 years of administrative experience in various capacities including being a Executive Assistant at Studio Munge and an Administrative Assistant at Brookfield Financial. Laura holds a Diploma in Hospitality and Tourism from George Brown College. Mark is responsible for overseeing site construction activity at Zen King West Condos. Prior to joining CentreCourt, Mark was a Project Superintendent at Minto for more than 11 years and oversaw many of Minto’s largest projects which include Minto Midtown, Minto Richgrove Village and Minto Watergarden. Mark holds a Diploma in Business Management and Civil Engineering from Humber College. 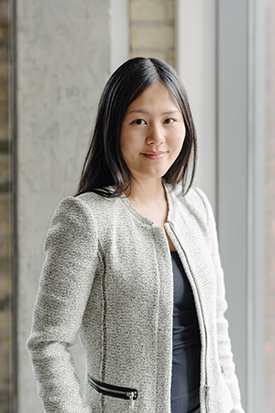 Mary is responsible for financial reporting for various development projects including 411 Church and Zen King West. Prior to joining CentreCourt, Mary was a Junior Accountant at Starlight Investments where she prepared financial reporting packages and managed cash flow for various properties. Mary holds a Bachelor of Commerce from the Rotman School of Management at the University of Toronto. Mitch is responsible for the oversight and management of all development related activities and personnel. Mitch is actively involved in rezoning, design development, working drawings and registration across all CentreCourt’s projects. Mitch is actively playing a lead development role on Grid Condos, 411 Church Street Condos, Transit City Condos and ZEN Condos. 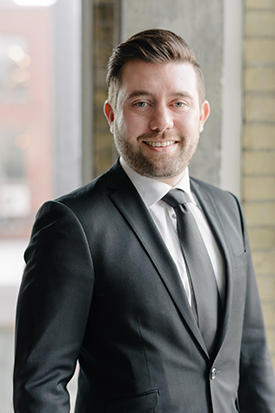 Prior to joining CentreCourt, Mitch was an Associate at MCW Consultants where he worked as a Project Manager with a focus on multi-unit residential projects in Toronto. Mitch has spoken extensively on energy efficiency, green buildings, and the Toronto Green Standard and previously taught a course at the University of Toronto on the subject. Mitch holds a Bachelor of Mechanical Engineering degree from the University of Western Ontario and is a Registered Professional Engineer. Nikola is responsible for all aspects of accounting and financial reporting. Nikola worked in the real estate sector for four years prior to joining CentreCourt, first as a Manager of Accounting and Financial Analysis at Minto and subsequently as a Manager of Accounting at Oxford Properties. 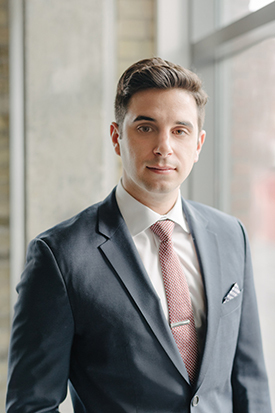 Nikola holds a Bachelor of Business Administration degree from the Schulich School of Business and is a Chartered Accountant. Oriser is responsible for overseeing site construction activity at 411 Church Condos. Prior to joining CentreCourt, Oriser was an Assistant Superintendent at Skygrid Construction and FirstCon Group, and Senior Project Coordinator at Firstcon Group where she involved in numerous high-rise residential projects throughout the Greater Toronto Area. 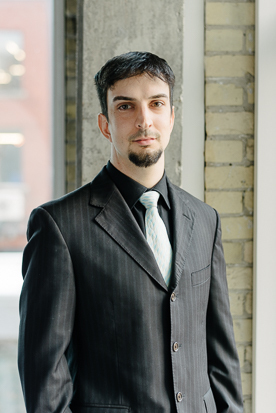 Oriser holds a Bachelor of Arts from Carleton University and a Diploma in Architectural Technologist from George Brown College. Robert is responsible for the oversight and management of all construction related activities and personnel. Robert has over 10 years of experience in high-rise residential construction and is an expert in the formation and oversight of construction budgets, schedules and teams. 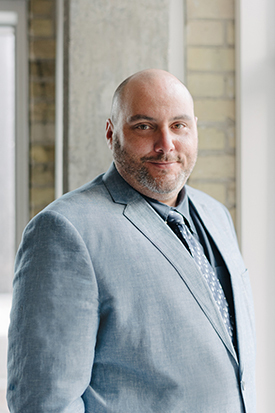 While at CentreCourt, Rob has been responsible for all aspects of construction on Karma Condos, INDX Condos, Grid Condos, 411 Church Street Condos and ZEN Condos. 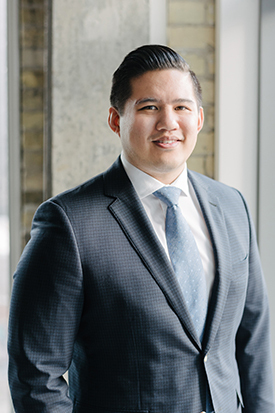 Prior to joining CentreCourt, Robert was at Minto Developments for nine years where he worked in various project management capacities on several of Minto’s largest development projects including Minto Midtown, Minto Yorkville and 88 Sheppard. Robert graduated from the Construction Engineering and Management Program at Fanshawe College. Robert is a Committee Member of Hold’em for Life Charity Challenge an organization that has raised in excess of $30 million for cancer research and other worthwhile charitable initiatives. Ron is responsible for overseeing site construction activity at 411 Church Condos. Prior to joining CentreCourt, Ron was at Ledcor Construction for over 10 years and brings more than 20 years of Site Superintendent experience. During his time as a Site Superintendent, Ron has been involved in numerous multi-million dollar projects including the expansion of Vaughan Mills, The Sussex Center, the construction of Costco’s and various residential buildings. Ron holds a Diploma in Construction Engineering Technology Management from Fanshawe College and is Gold Seal Certified from the Canadian Construction Association. Sarah is responsible for managing all aspects of the Customer Care team. Sarah is actively improving processes, bringing in best practices, with an understanding and focus on the full purchaser/owner/resident experience through to post-occupancy across all our developments. In her capacity, Sarah also has direct oversight of each community we develop by bringing in best-in-class services and holding them to a higher industry standard to enhance the lives of our current residents and future residents alike. 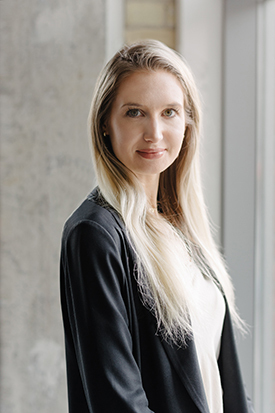 Prior to joining CentreCourt, Sarah acquired over 13 years of hands-on experience as a Senior Property Manager in high-rise developments across the GTA, ranging from new construction to 40+ year old communities, with a combined total of over 3,000 units within this timeframe. Her focus and attention to each building and commitment to the residents and owners did not go unnoticed, recently being awarded the Community of the Year Award by FirstService Residential and being presented with a very unique resolution passed by the Board of Directors for TSCC 2221 “The Modern”, which stated that residents and facilities have both benefited and have been enriched by the work of Sarah George in recognition for her tireless efforts and contributions during her tenure from 2013 to 2016. Following this, Sarah went on to successfully manage our very own “INDX”, a 54-storey tower comprising of 798 units from 2016 to 2017. With a commitment to continuing education within the residential construction industry, Sarah has enrolled in Training Ontario courses. 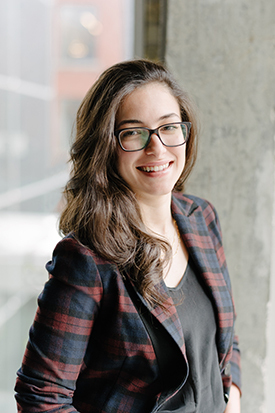 Shalia is responsible for the coordination and administration of all aspects of the construction project, providing assistance to the Project Manager at Zen King West. Prior to joining CentreCourt, Shalia previously worked at TMG Builders as a Project Coordinator where she assisted with Project Manager with the overall project performance including costs, schedule and project safety. 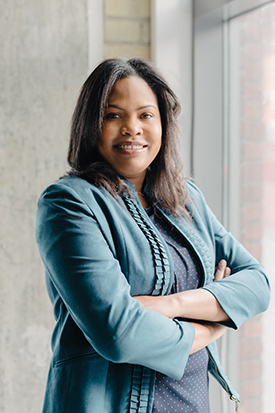 Shalia holds a Bachelors of Arts degree in Political Science and Government as well as her Building Science Certificate from the University of Toronto. Shamez joined CentreCourt in 2011 and is responsible for the oversight and management of all business areas and personnel with a focus on development, sales and construction. Shamez became a partner in CentreCourt in late 2015. 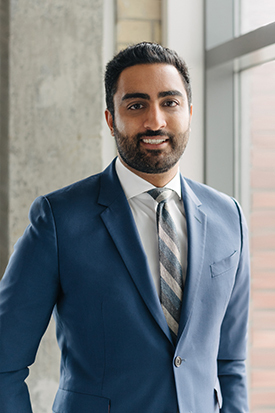 Shamez was instrumental in the completed development of four residential towers: Peter Street Condos, Karma Condos, INDX Condos and Core Condos, consisting of more than 2,000 homes. Shamez is currently responsible for the day-to-day oversight of CentreCourt’s active development pipeline consisting of over 7,000 homes valued at over $3.5 billion dollars. Shamez’ prior work experience includes working in the Investment Banking Division at Goldman Sachs. Shamez holds an MBA with a concentration in Real Estate from Columbia Business School and an Honors Business Administration (HBA) degree from the Richard Ivey School of Business at The University of Western Ontario. Shamez is a Board Member of Hold’em for Life Charity Challenge (an organization that has raised in excess of $31 million for cancer research and other worthwhile charitable initiatives.) and is the Co-Chair for the 2019 Real Estate Industry Hold’em for Life event which raised more than $2.0 million for cancer research initiatives at Mount Sinai Hospital and Princess Margaret Hospital. Stephen is a partner in CentreCourt and has been a strategic advisor to the company since its inception in 2010. Stephen is actively involved in formulating corporate strategy, pursuing site acquisitions, structuring joint ventures and securing development approvals and financing for all CentreCourt projects. Stephen has had over 30 years of experience in the real estate development industry, including over 25 years as a senior partner in the real estate group at Goodmans LLP, a leading Canadian law firm. During his time at Goodmans, Stephen specialized in real estate development, acquisitions, portfolio dispositions, cross border and domestic joint ventures, restructurings and public/private transactions, with extensive experience in complex real estate financing transactions (including land development and construction loans, acquisition facilities and bond financings). 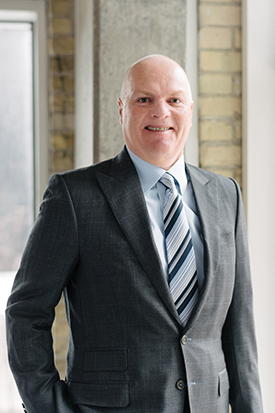 Stephen has been actively involved in some of Toronto’s major real estate projects including the Ritz Carlton Hotel/Residences, Brookfield Place, Bay-Adelaide Centre, RBC Centre, Maple Leaf Square, the Ryerson University business school, and numerous other mixed-use and residential developments. Stephen has also provided ongoing strategic and legal advice for the acquisition, financing, development, management and disposition of several $100 million+ portfolios of office, retail and industrial buildings, including the creation of joint ventures and investment funds for those portfolios. Stephen attended University of Western Ontario and received his JD from University of Toronto. Stephen is also a director of Triovest Inc., a real estate asset manager and investor with over $8 billion of assets under management. Jesse is responsible for providing strategic advice to the company with a focus on site acquisitions, joint venture structure, and securing development approvals and financing across all CentreCourt projects. 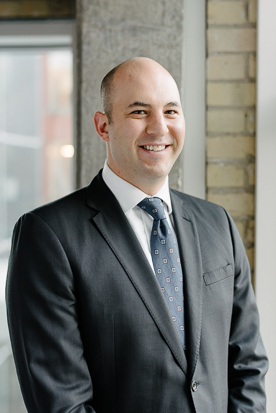 Prior to joining CentreCourt, Jesse practiced corporate law at Davies Ward Phillips & Vineberg LLP and Goodmans LLP, in both cases dealing with complex cross-border restructuring matters. In this capacity, Jesse was involved in material mandates on several high-profile matters including Target Canada, Sears Canada, and Nortel, as well as a number of distressed situations involving real estate developments where he represented developers, lenders and other stakeholders. Jesse holds a JD from the University of Western Ontario, and a BA (Hons) from Dalhousie University. Jesse is also a Board Member of the Regent Park School of Music, a not-for-profit corporation providing extracurricular music programming to at-risk youth across the Greater Toronto Area. Ishrat is responsible for assisting with full cycle accounting for various development projects at CentreCourt. 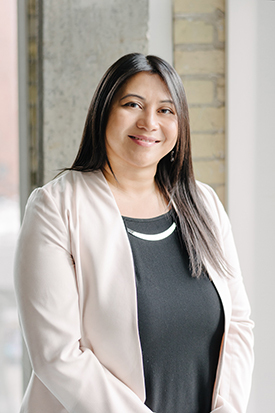 Prior to joining CentreCourt, Ishrat was a Personal and Commercial Banking Advisor at the Royal Bank of Canada where she demonstrated exceptional customer service by assisting clients with both short and long term financial needs. 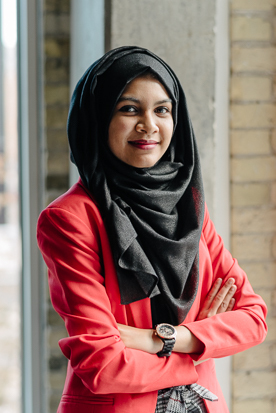 Ishrat holds a Bachelor of Commerce from the University of Toronto with a specialization in accounting and economics. Elliot is involved in all aspects of development activities across several CentreCourt projects. 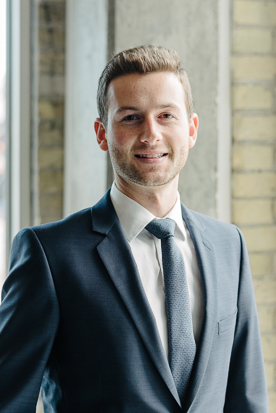 Prior to joining CentreCourt, Elliot worked as a Development Coordinator at Intermarket Real Estate Group Toronto and more recently as an Urban Designer at Bousfield Inc.
Elliot holds a Bachelor of Architectural Studies from the University of Waterloo. Usama is responsible for the site administration and supporting the site team at 411 Church. Jason is responsible for managing sales and marketing for new construction condos at CentreCourt. Prior to joining CentreCourt, Jason worked at The Milborne Group for more than 7 years in various roles, most recently as a Sales Director. 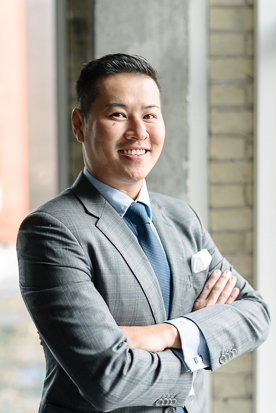 During his time at Milborne, Jason was instrumental in pre-construction condominium sales launches in Toronto and has sold more than 10,000 units. Joseph is responsible for overseeing site construction activity at Zen King West Condos. Prior to joining CentreCourt, Joseph was a High Rise Foreman Supervisor at Canadian Concrete Forming . Jacob is responsible for ensuring great project outcomes across a project’s life cycle through the management of sales, development, construction and customer care. As a project’s business lead, Jacob is responsible for project strategy, and for ensuring the development, construction, finance and customer care teams execute in an integrated and timely fashion. Currently Jacob is playing an active role in Transit City 4&5 and 99 Blue Jays Way. 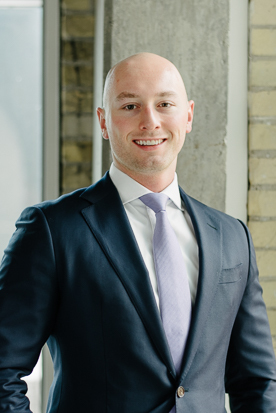 Prior to joining CentreCourt, Jacob worked as an Investment Banking Analyst at RBC Capital Markets, where he was involved in multiple M&A transactions, IPOs and secondary offerings in the real estate sector. Jacob holds an Honours Bachelor of Commerce specializing in finance from the University of Ottawa. Cristian is responsible for overseeing site construction activity at 411 Church Condos. Henry is responsible for overseeing mechanical and electrical activity at various project sites. 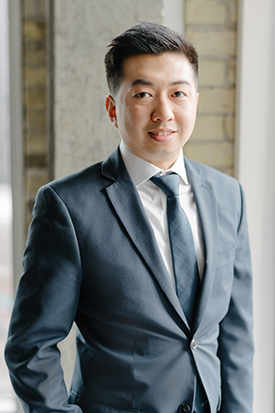 Prior to joining CentreCourt, Henry was an MEP Commissioning Manager at Brookfield Multiplex, and an Technical Service Consultant at CIMCO Refrigeration where he was involved in numerous high-rise residential projects throughout the Greater Toronto Area. Henry holds a Diploma in HVAC from George Brown College. Vinson is responsible for financial reporting for various development projects including Prime Condos and Transit City 4 & 5. Prior to joining CentreCourt, Vinson was a Corporate Accountant at Baybridge Senior Living where he prepared quarterly and annual financial statements. 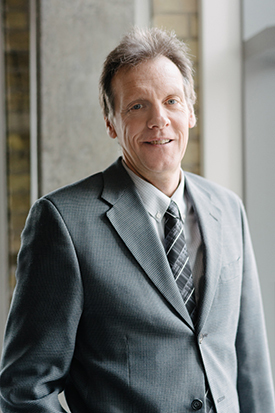 Vinson holds a Bachelor of Business Administration from Wilfrid Laurier University in Waterloo. Kaila is responsible for overseeing administration of sales launches and post-sale purchaser administration. Prior to joining CentreCourt, Kaila was at Baker Real Estate for more than 14 years in various roles including Project Administrator, Assistant Project Manager and most recently, Project Manager. Kaila holds a Bachelor of Arts degree from York University. Nirushan is responsible for administering purchase agreements, coordinating warranty deficiencies and providing excellent customer service at 411 Church Condos. 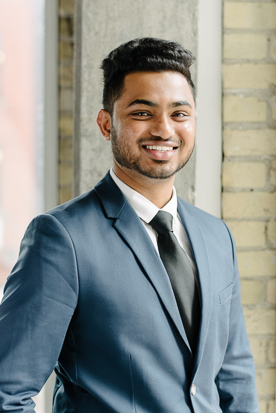 Prior to joining CentreCourt, Nirushan worked at Tarion where he was a Customer Service Representative.